This chapter deals with a dynamical modelling of autonomous vehicle, including different manoeuvrings. Solution of the state-space form was performed using the Runge-Kutta method. A special purpose program has been written in the Scilab software system. Manoeuvrings of different cornering and overtaking are simulated. 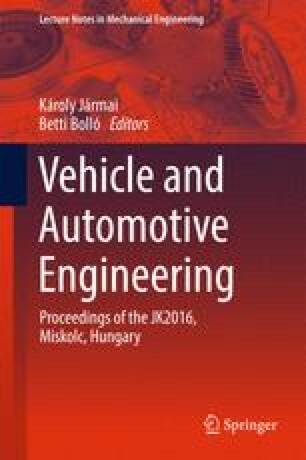 This research was carried out in the framework of the Center of Excellence of Mechatronics and Logistics at University of Miskolc.